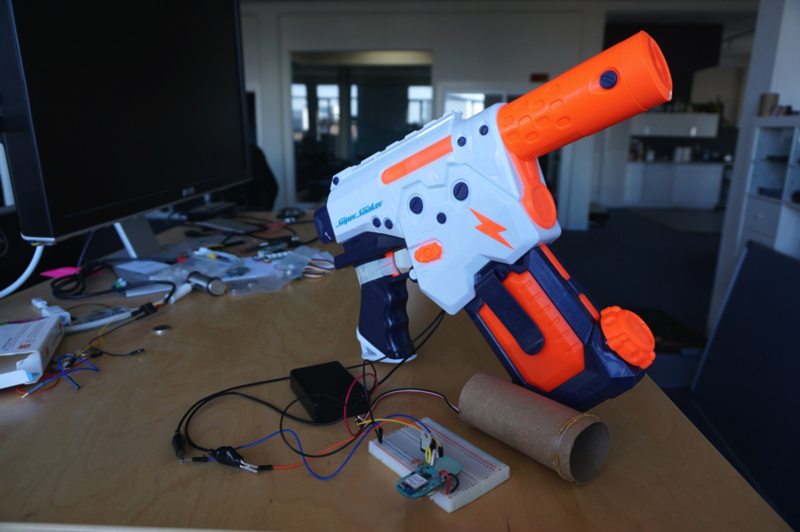 DIY Water Gun Twitter Enabled Intruder Alarm « Adafruit Industries – Makers, hackers, artists, designers and engineers! In this project, we will build a water spraying intruder alarm using a Lightblue Bean (a BLE enabled Arduino micro controller). After spraying the intruder, the Lightblue Bean will trigger a nearby computer to take a picture, and upload it to Twitter! We will also be able to remotely arm or disarm the motion detector by sending a message to the Bean through Twitter.